How do you start to describe a person like George Bonello DuPuis? I confess that I did not know this gentleman well enough to draw an accurate picture. I only had the pleasure to meet Dr Bonello DuPuis twice and both times it was business that brought us together. However, I feel as if I have known this man all my life, and I do not hesitate to say that I considered him one of the nicest and sincerest persons that I have ever met. Football draws to its fold people from all walks of life. Apart from the usual athletic type, the game has also attracted intellectuals, priests, politicians and others. One type that, however, is very rare in football is the 'nice guy', the type you would like immediately and trust whole-heartedly. In other words, a gentleman who does not use football to reach his ends, but one who is prepared to give, rather than take, from this most abused game. One such person, I dare say, was Dr Bonello DuPuis who passed away recently. Born in Sliema, he was educated at St Catherine's High School, the Lyceum and the University of Malta. He started his sporting career at the university where he captained the Malta teams in athletics. In 1951, he represented Malta in the first edition of the Mediterranean Games but he is best noted as a footballer. In a short, but eventful, career he played first-team football for the University FT, Sliema Wanderers, Melita and Mosta. Although athletics and football were his favourite pastimes, they were not the only hobby in which he excelled. Friends of mine from Sliema told me how they used to see him underwater fishing in Sliema. It seems that in his heyday no octopus was safe around the shores of Sliema! Sailing was also one of Dr Bonello DuPuis's hobbies. Many times he could be seen tampering around his boat at the Sliema front. Although his work as a notary and his role in politics left him very little spare time, he served as president of the Sliema Wanderers FC committee (1962-1987 and 1995-96) before he formally retired from all sporting activities. 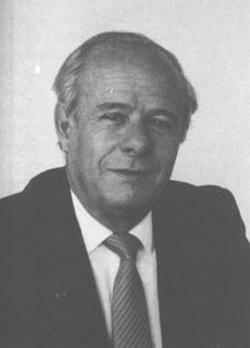 During his time as president, Sliema ruled Maltese football. I remember quite well the Melita teams of the 50s. The Amateurs had a fine squad in those days. They played many matches at the old Schreiber Sports Ground and I used to follow their fortunes regularly. They could really play football but the team was best noted for its sportsmanship. Dr Bonello DuPuis was just one of a group of youngsters who played football because they enjoyed the game and to gain some financial rewards. Other players from the era that I remember were L. Spiteri, S. Sammut Tagliaferro, M. Cutajar, R. Muscat, W. McMohan, K. Borg, A. Agius, G. Bencini, S. Borg and J. Conlan. The Third Division in those days was a rough affair. Burly full-backs who could hardly recognise a football from a rugby ball, used to give hell to their opposing wingers. Bonello DuPuis was a speedy wing-forward who could dribble his way through a brick wall. This did not make him popular with the full-backs of his era. He was given the stick in every game he played at the Schreiber but he was never known to lose his temper. Looking somewhat like a young Frank Sinatra, he cavaliered his way through every game he played like a knight in shining armour. It is one of my regrets that I have never seen Dr Bonello DuPuis play in the higher divisions. I was too young to go to the stadium in those days, but from reports of matches I have read, he seems to have been quite a handful. He probably could have made a career for himself in top-class football if he did not have other interests. However, despite giving up on playing football, he still found time to lead the Wanderers through one of the brightest periods in their history.